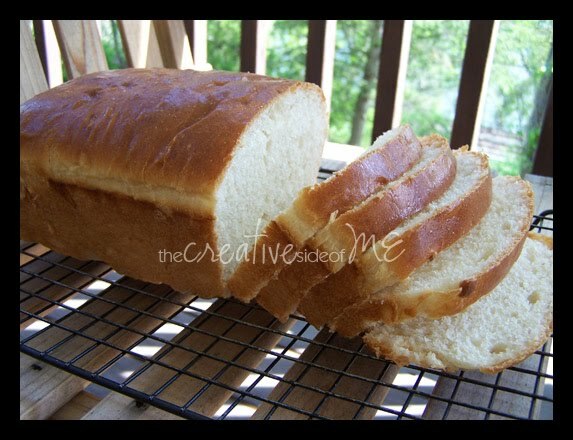 This Amish White Bread is the perfect 'everyday' homemade bread. The crust is nice and soft. The inside is light and tender, yet sturdy enough to cut into thin slices for hearty sandwiches. I prefer to use my bread machine's dough setting and then put this slightly sweet loaf in my oven, but you can bake it right in your machine. Place ingredients in bread machine in order suggested by manufacturer. Select dough cycle. When cycle is complete, remove dough from machine and place into a greased loaf pan. Cover and let rise until dough is one inch over top of pan, about 1 hour. Just prior to baking, brush loaf with an egg wash (1 egg, beaten with 1 tablespoon of water). Bake at 350 degrees for 30 minutes or until loaf sounds hollow when tapped. Cool on wire rack for 20 minutes before removing from pan. Yum, Stephanie. Your recipes always look so good. Hi, Stephanie. I just awarded your blog the Sunshine Award at Dark Glass Ponderings. I've enjoyed reading your reviews, reflections and recipes. I make this too, but don't call it Amish...my neighbor's are Amish and somehow, I just don't like to do it. :) YUMMY!!! I'm not sure if this bread is truly an Amish recipe or not - I got it from Allrecipes. But, I've had 'real' Amish-made bread and it's pretty fantastic! 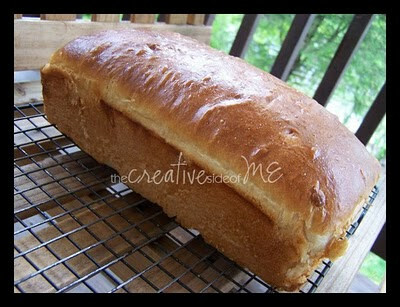 So, calling this bread 'Amish' is the highest compliment from me, because I know most Amish women are great cooks! Thanks for stopping by and commenting! I love that!